After gaining much traction last year with his Drumcode EP “Through The Darkness” and the release of “Diamond Dust” on A-Sides Volume 6, London based producer Vinicius Honorio decided to step up his game and created his own label, called Liberta Records. 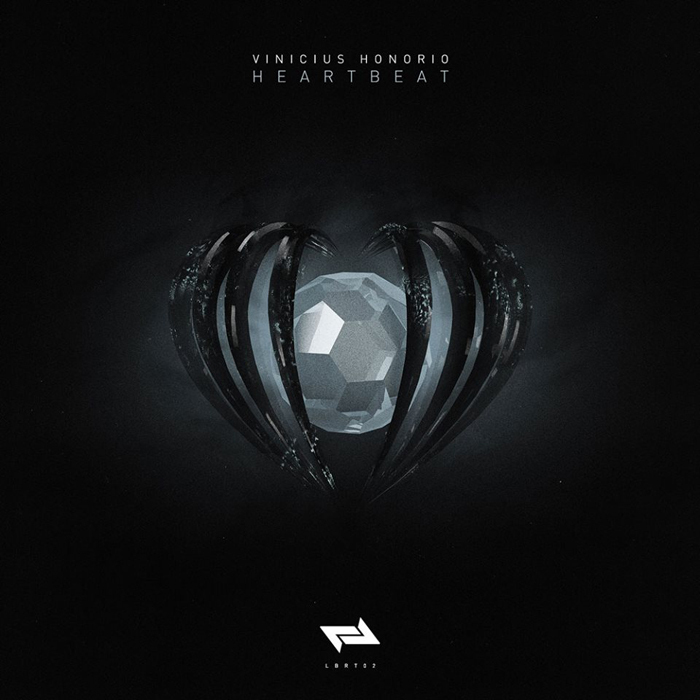 In March he released his first EP “Dying Of The Light” and now he’s following up with five-tracker “Heartbeat”, which contains the highly anticipated track with the same title and showcases the development of his sound, which has become much darker and more minimalistic in its nature. “Scatter” starts out with light and bouncy percussion, but the atmosphere of the track quickly gets turned around at the 2 minute mark, where a gloomy synth sequence takes over and turns it into quite a desolate place. The track is spruced up with grim bass/vocal shots, which manage to break up the drone of the main lead a little bit, but unfortunately, aren’t enough to really bring the track to life. The opening of “Heartbeat” may remind you of the style of Petter B, but as soon as the dark basses kick in at the 2:30 mark, you’ll know there’s a different force at work here. Guided by a pondering voice that addresses the essence of techno and luring pads that pop up occasionally, Honorio takes the listener on an exhilarating journey in a harsh and unforgiving world. “Don’t Look Back” can be described as the more calm and friendly version of “Scatter”. The track builds up slowly with swelling pads and murky sound effects, until, at the 2 minute mark, the main lead kicks in. As the track progresses, the main melody follows a wave-like motion, increasing and decreasing in pitch and volume, but abruptly ending at the 6 minute mark, leaving the DJ just enough time to mix in the next track. On “The World We Know” we’re treated to a compelling mix of calm and uplifting elements. A repeating bass sequence is intertwined with scattered vocal chops and a smooth, sidechained pad that gives the track sort of an underwater feel. The end result is an immersive track that draws you in and submerges you into an atmospheric pool of sounds. Final track is the dub version of “Heartbeat”, which, apart from the vocals, is identical to the earlier mentioned version on this release. “Heartbeat” will be released tomorrow on Liberta.